Swami Budhananda in Hollywood in 1960s. 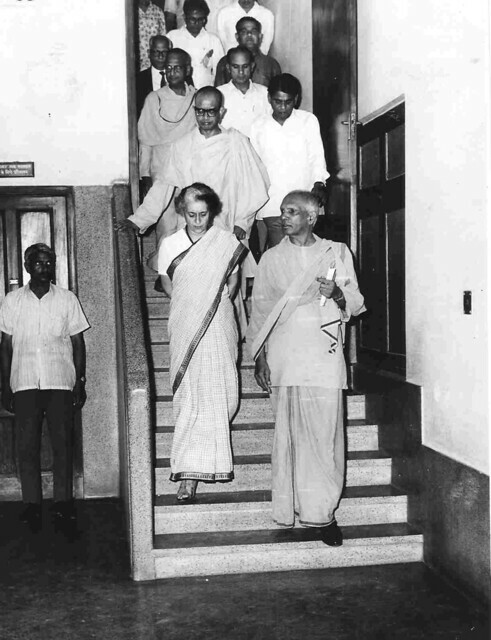 An initiated disciple of Srimat Swami Virajanandaji Maharaj, Swami Budhananda (Bhavani Maharaj) joined at the Madras Math in 1944, and had Sannyasa from Swami Shankaranandaji Maharaj in 1954. He was the editor of the Vedanta Kesari after which, in 1959, he was sent to United States, where he worked at New York (Ramakrishna Vivekananda Centre) as assistant to Swami Nikhilanandaji. He also worked at San Francisco and Hollywood centres as Assistant Minister till 1966. He returned to India in 1967 and became the Secretary of the Chandigarh Ashrama. 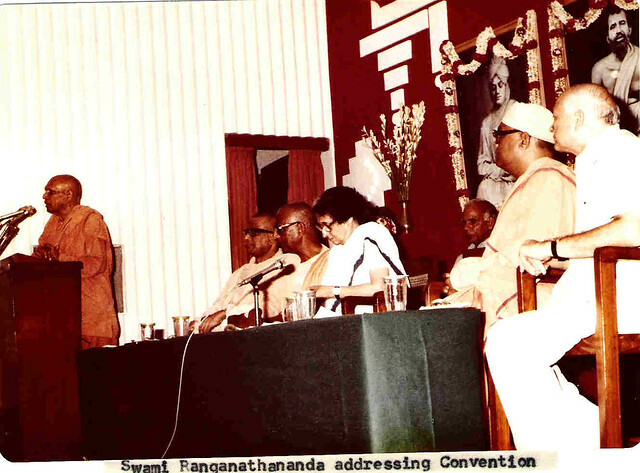 He became the joint-Editor of the Prabuddha Bharata in 1968 and later the President of Advaita Ashrama, Mayavati. He was posted to Delhi as Secretary in 1976. He had gone to Belur Math to pay his respects to ailing Revered Swami Vireshwaranandaji, when he passed away suddenly due to cardiac failure on 11th November 1983 at Seva Pratisthan. He was a good speaker and a forceful writer. He wrote several articles and some books in English and Bengali. Some of his more important works are: Will-Power and It’s Development, The Mind and Its Control, Can One be Scientific and yet Spiritual, The Challenge of Religion, and The Ramakrishna Movement : Its Meaning for Mankind.